Apprenticeships are a brilliant way to give people from all backgrounds the opportunity to gain the skills and experience that will help them to get on at work. Last year, the Government’s Civil Service Apprenticeship Strategy was launched with an ambitious target of at least 30,000 apprenticeships starting in the Civil Service by 2020. Each government department agreed to 2.3% of its workforce being made up of apprentices. The Crown Prosecution Service (CPS) recently had the highest proportion of apprentices in its workforce of any government department: 3.3%, or around 180 apprentices. I have met many of our fabulous apprentices. They always impress me and everyone speaks highly of their capability and commitment to the CPS. Welcoming new apprentices has given us an influx of energy and fresh skills. We, in turn, have provided apprentices with a quality experience to build essential skills needed in the modern workplace. Our apprentices can work in a variety of roles across the organisation, both in legal and operational delivery roles. To name just a few, in a casework preparation team, with victims, or in our communications teams. We have been able to give them meaningful employment experience and development opportunities combining real workplace challenges with more formal study towards a qualification. Our HR team played a lead role in this, but so did colleagues across the CPS who supported the apprentices. As well as line management and team support, we introduced other ways to nurture apprentices, including having apprenticeship champions available in each of our regions. We hosted ‘workplace etiquette’ sessions to develop interpersonal skills; provided opportunities for apprentices to network and learn from each other; and introduced a quarterly Apprentice Award to recognise their achievements. 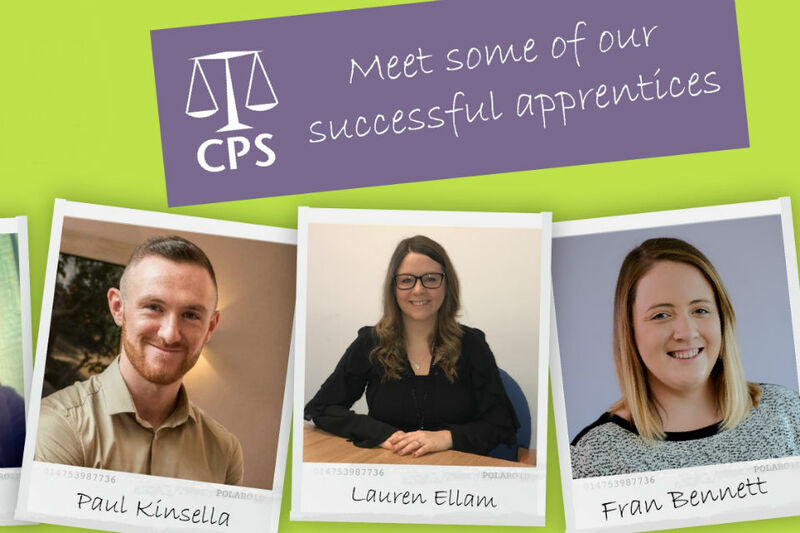 Many of our apprentices have gone on to be recruited into a variety of permanent roles across the CPS professions, and many have been promoted or moved on to other development opportunities. In 2017, nearly half (47%) secured a permanent role with us after a 12-month apprenticeship. For those who do not stay, we have given them valuable experience to help with their future careers, and we have benefited from their contributions. The next challenge for us is to build on this success and help apprentices, along with all employees, to develop their careers. Apprenticeships are not just aimed at people joining the CPS today. Offering our current employees opportunities to refresh or gain new skills is hugely important. While many of our apprenticeship roles have been in business administration, we are now also offering more advanced-level management apprenticeships for internal candidates. Last year, we started offering paralegal apprenticeships in partnership with CILEX Law School. We will soon be taking on our second cohort. Our ambition is to introduce an apprenticeship that enables some of our most talented people to study towards, and qualify as, prosecuting solicitors. We are making good progress in turning that ambition into a reality. We are also offering internal opportunities for apprenticeships in some of our other professions. For example, nine of our staff have started an apprenticeship in HR. Within the CPS, apprenticeships, along with other approaches, are helping us increase diversity in our workforce. We put a strong focus on this, and have made real strides in recent years. However, like the rest of the Civil Service, we need to keep working to make sure we are both diverse and inclusive. 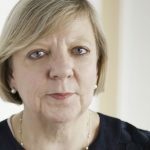 As I’ve written about here before, I believe the public are more likely to have confidence in an organisation that reflects them. At the CPS we look both at our external work with the public we serve and our internal work to support a diverse and inclusive workforce, and recently set out our approach to these key issues in our Inclusion and Community Engagement Strategy. As part of this, we will be developing new ways to engage externally with young people, and internally will be looking in more detail at social mobility to make sure we attract and support people from all backgrounds. Apprenticeships are important in this. They give people the chance to take crucial first steps towards achieving their career ambitions, or to gaining skills and qualifications later in their careers – and so they support efforts to improve social mobility. They also help the Civil Service to better serve the public – and set a great example of how you can develop your career in a modern and progressive workplace. What's it like to win a Civil Service Award?